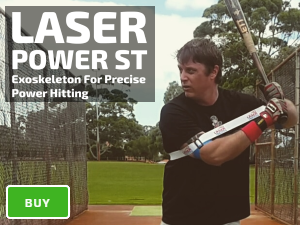 Top-Hand Laser Drill (heavy bat optional), Improves All 3 Parts Of The Power Hitting Equation, training rotational mechanics and improves core power by isolating the explosive phase of your swing. It is a natural science that is the same for all athletes – boxing, tackling, basketball, etc. During hitting there are two types of rotation: away from your body (load), and around your body (swinging). 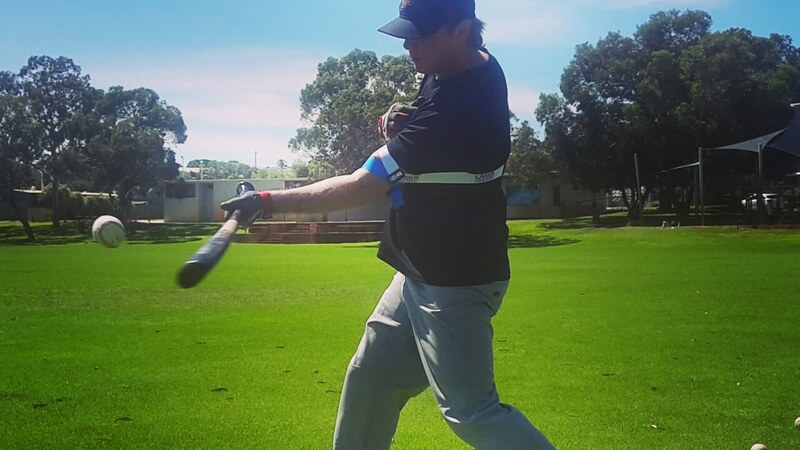 Our power swing training aid connects you to your swing, increase resistance to minimize upper body movement to improve your core power mechanics. Start with your hands at the top of the strike zone. Spread out, isolate the foot down position. 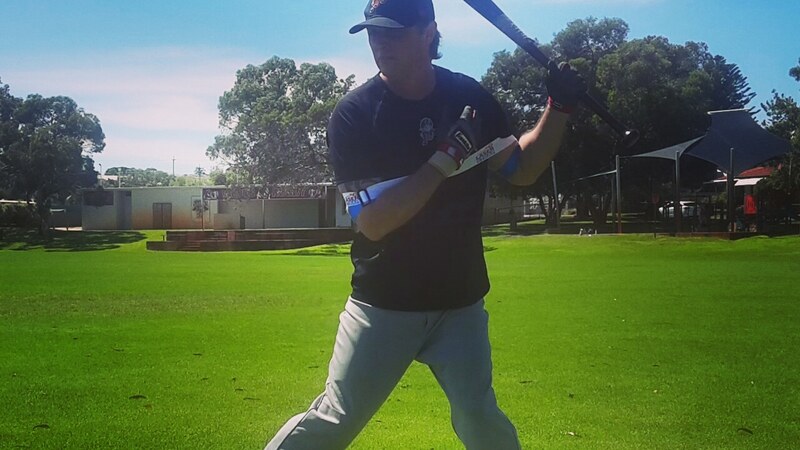 Press your elbow back into your hip, drop the barrel of the bat down and focus on whipping it through the zone. If your hands lead the swing, you’ll disconnect from your power, and you won’t be able to hold up when facing “hard and late breaking” pitches. Image: Whip that bat through with your hips. Make sure you work on technique, focus on your hips controlling your swing. Starting your swing by rotating your back leg from your hips, keeps your hands back; making adjustments to changes in pitch speed, and movement. 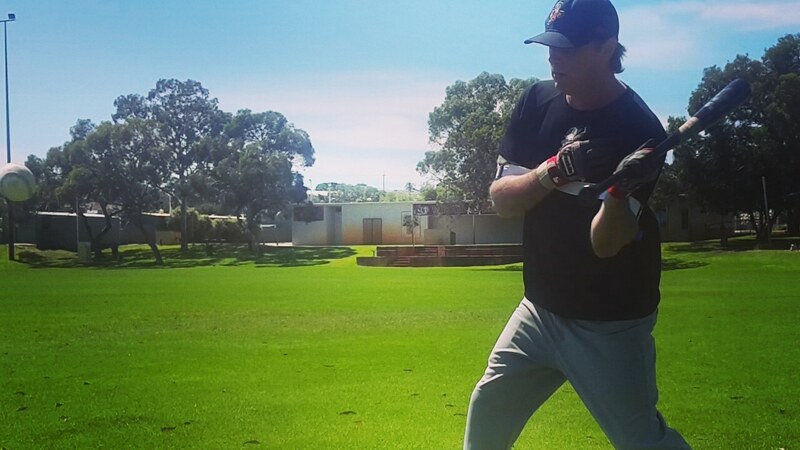 The key to top-hand power hitting drills is controlling your barrel. Top-Hand training improves strength in the forearm muscles, vital for maintaining the optimal level at contact. Your forearms have to be strong enough to control the barrel of the bat. Otherwise, you’ll dip the barrel head, hit the bottom of the ball resulting in a swing and miss or a weak pop fly ball. If you have poor technique, part two of the power equation, you’ll roll over at contact. When someone says, “don’t roll over on your wrists” that isn’t correct, because it’s impossible to roll at your wrists. Your wrists are controlled by your forearm muscles and elbow. The action of rolling over causes the barrel of the bat to rise, as a result you’ll hit the top of the ball (causing a ground ball) or swing and miss. Hold off on rolling the barrel at or before contact; turn the bat after, as you feel pressure on your shoulder. If you don’t roll over on your follow through, it will slow down your swing. Don’t fight it, imaging whipping the bat around your body like nunchucks. Strength by itself will not equal power. You can be a big strong guy, but if you don’t have bat speed or technique, you won’t be a consistent power hitter. If you’re a smaller guy, you may have bat speed. Therefore you’ll need to improve your strength and technique to gain power. Swinging a heavy bat by itself trains long and slow swing. 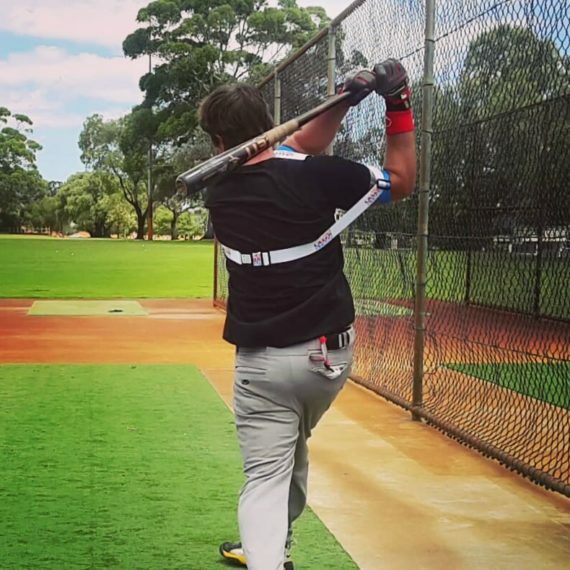 You might improve your strength, but you’ll fail to develop bat speed and technique, as the extra weight of the heavy training bat disconnects your back arm from your swing (casting). However, combine heavy bat training with our power swing training aid, and you’ll gain the best of both worlds. 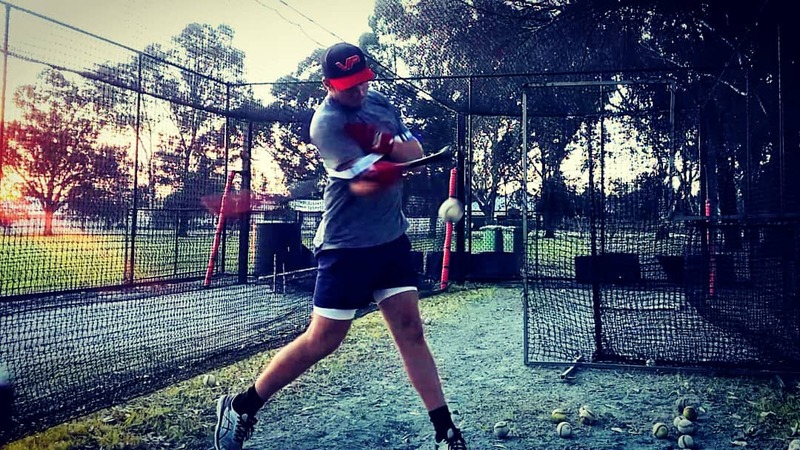 Regardless of the heavyweight, you’ll stay connected to your swing, improving bat speed, core strength, and technique; the formula for power hitting.